There is a poverty that degrades, offends and kills so many of our brothers and sisters, Pope Francis said today as he invited all people to join “moral and economic forces” to fight this problem. The Pope said this in his brief Angelus address after celebrating the canonization Mass of seven new blesseds. He made his comments on poverty in mentioning Monday’s International Day for the Eradication of Poverty. “Let us join our moral and economic forces to fight together against poverty that degrades, offends and kills so many of our brothers and sisters, by giving life to serious policies in support of families and employment,” he said, according to a translation by Vatican Radio. 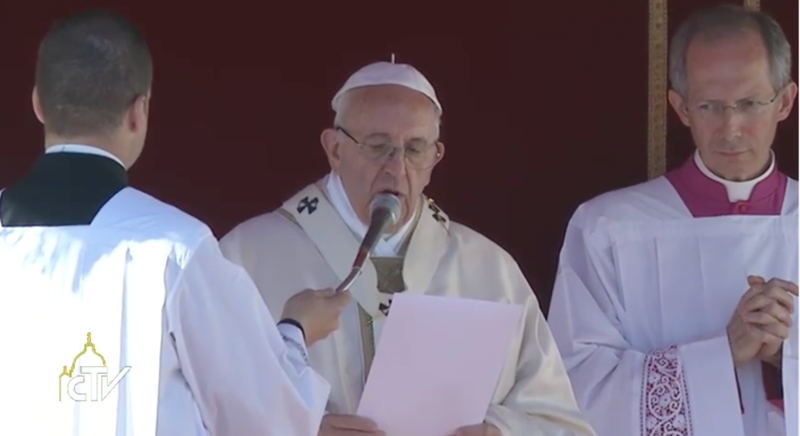 He also thanked those who had travelled from around the world for the canonization.